Chicken soup is a healthy and nourishing dish…..got it? Ok, here is the explanation as per my understanding. Each and every story of this book had a similar effect on me as well, healthy and nourishing. 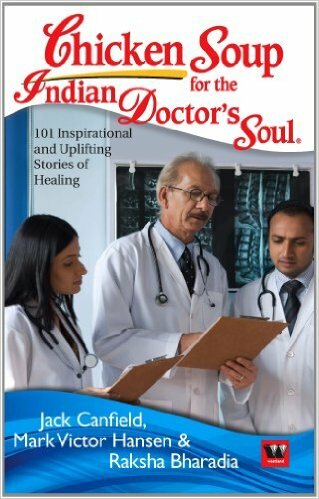 It is a collection of 101 very inspirational stories of Indian doctors, who served humanity in the toughest situations, challenging their capabilities and mental strength, just for the wellness of human being. After reading the collection of stories you will start believing the saying “Doctors are next to God on the Earth”. In today’s world, based on many of our experiences, we see medical practitioners as the sheer businessmen who insensitively believe in making money out of everyone’s pocket, be it rich or poor. It is also true at some extent; however, it is wrong to blame the whole community. After reading the book I have much greater respect for the profession because I now know to some extent that under what crucial circumstances they work to save someone’s life. The book’s theme doesn’t revolve only around praising the profession of health sector rather it clearly conveys the message that how important a life is and as a human being, sometimes a very small effort can prove to be the boon to someone’s life. A beautiful book with lots of inspiring tales of passion and compassion, I am the proud owner of it in my book shelf.